Back with another round of project cars, both Justin and Dave have recruited teams and are tangled up in some friendly competition. 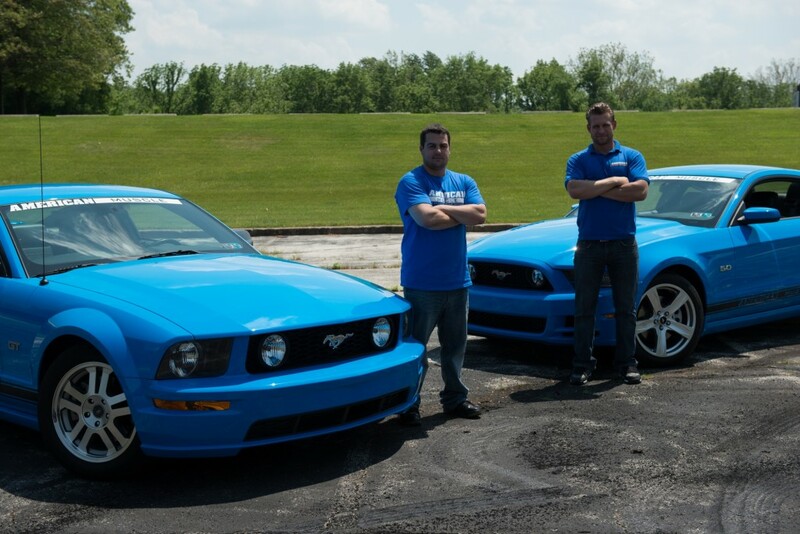 both are building a Grabber Blue GTs–Justin in his 2014 GT and Dave in his 2006 GT–to see who can build the better drag car. Here we have Stage 1 of both builds with stock dyno and 1/4 mile track times as well as comparable numbers after throwing on some essential bolt-on mods. While you can probably assume who’s got more power under the hood, you might be surprised at the results. Head over to AmericanMuscle.com and Check out the entire 2014 Mustang GT Project Coyote build! Or, if the 2006 GT, Project Grabber Boost is more your style, you can see that entire build as well. Dave and his crew definitely have some catching up to do. After their stock GT put down a still impressive 278RWHP & 291TQ before any mods, they were nearly 100RWHP behind Justin’s stock 2014 GT. With a power adder in their minds and a burning desire to run down Justin and his 2014, the team paid extra close attention when hand picking their stage 1 bolt-on mods. With a pile of new parts, the team dropped a full half second off their stock track time, going from a 14.05 with the factory parts to 13.5 after stage 1 bolt-ons. The stoutly 2006 GT also increased it’s rear wheel power to 292HP and 307TQ. Are these cars stick or automatics? cobra jet intake manifold!!! who else wants to see the project cyote set up with a cobra jet intake?